April is the PERFECT time to join the Gemini Center! It's our NEW MEMBER DRIVE and we're celebrating all month long! Come in and sign up for a new membership in April and you'll be entered to win one of several great prizes we're giving away each week! Check out the details below or stop by the front desk at the Gemini Center and register today! The earlier you sign up, the more you can win! Our new tagline, CORE.COMUNITY.VALUE., represents what a membership through the Fairview Park Recreation Department is all about. It was created as a reminder of the vast diversity of sports and recreation programs, classes and events offered to the community by the City. “Annual membership at the Rec Center means so much more than just access to state-of-the-art exercise equipment and the two pools at the Gemini Center. Membership opens the doors to year-round programming that feeds the mind, body and soul. It offers fun family activities throughout the city and entertaining programs for the entire community. And it enables members to take advantage of exclusive discounts on recreation-sponsored community programming. It's kind of like making a commitment to improving yourself, being active in the community, and saving money all at the same time! That's what a membership at the Gemini Center offers! April is New Member month at the Gemini Center! Sign up or renew your current membership today and save! HERE'S YOUR CHANCE TO WIN GREAT GEMINI CENTER PRIZES EACH WEEK IN APRIL WHEN YOU REGISTER AS A NEW MEMBER! Win a FREE MAPLE ROOM RENTAL! Enjoy a free three-hour rental! Perfect for birthday parties, showers, receptions or business meetings! FREE credits that you can redeem for classes, group exercise, events and program fees! Win a FREE WAVE ROOM POOL PARTY RENTAL! Win a FREE GYM RENTAL! The ultimate birthday party! Three-hour rental! ALREADY A GEMINI CENTER MEMBER? IT'S EASY TO BECOME A NEW MEMBER! for information, membership categories and rates. 2. Make sure you bring TWO FORMS of ID as proof of residency or employment (Current driver's license, checkbook, utility bill or bank statement) along with age verification (birth certificate, baptism certificate, passport) for children. 3. Stop by the Front Desk at the Gemini Center, complete the paperwork, pose for your photo ID and pick up your FOB! 4. Pay your membership fee. 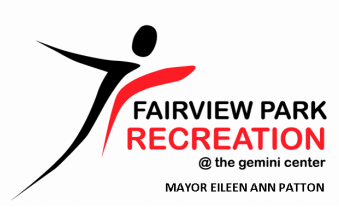 Memberships can be paid for by personal check made payable to the Fairview Park Recreation Department, debit/credit card (Visa/MasterCard/Discover), or cash. All transactions MUST be completed in person so a photo for membership can be taken. All payments must be made in full. NO partial payments will be accepted. 5. Start enjoying your membership! The Gemini Center New Member Drive runs from April 1 – 30, 2019. New Member Registration is offered only through the Gemini Center front desk. Online and phone registrations are not available. Proof of Fairview Park residency or corporate verification is required. Call or email the Gemini Center for More Information!